The demand within the global market for integrated food ingredients has been rising on account of the expanding product portfolio of the food industry. Integrated food ingredients are used to give a particular form, structure, application, or functionality to the food products. Some of the key enhancements that can be brought about through integrated food ingredients are viscosity, texture, mouthfeel, taste, meltaway, stability, appearance, and flavour. The propensity of the masses towards better tastes, texture, and appeal of foods has directly influenced demand within the global market for integrated food ingredients. Furthermore, the manufacturers of food products are on a quest to enhance their product portfolio which is expected to bode well for the global market for integrated food ingredients. The propensities of the consumers are communicated to the food industry by the retail sector, and the former acts according to the needs and wants of the consumers. Owing to the aforementioned factors, it is projected that the global market for integrated food ingredients would witness the inflow of massive revenues as the years pass by. The global market for integrated food ingredients can be segmented on the basis of the following parameters: function, integrated solutions, and region. It is evident that the global integrated food ingredients market is directly related to the food industry, and hence, there is a need to get a peek into the aforementioned segments. A report on the global market for integrated food ingredients sheds value on the various trends and opportunities that could overhaul the growth dynamics of this market. 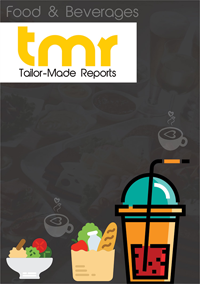 The report builds a basis to understand the geographical segmentation of the global integrated food ingredients market. Integrated food ingredients act as commendable taste enhancers, and hence, they are extensively used in bakeries and confectioneries. Furthermore, from the perspective of sales and marketing, it is vital to give a proper form and texture to food products. Owing to these factors, the demand within the global market for integrated food ingredients is expected to reach new heights in the years to come. Moreover, the popularity of packaged food items has ensured a regular inflow of demand within the global market for integrated food ingredients. The dairy industry has been using integrated food ingredients for colouring of foods, and enhancement of taste. Moreover, snacks and savouries are also a key segment of the food industry that has propelled market demand. Meat products are also preserved with the help of integrated food ingredients, and this shall play a vital part in the growth of the global market for integrated food ingredients. The demand for integrated food ingredients in North America has been rising at a robust rate, majorly due to the popularity of packaged food products in the US and Canada. Furthermore, the large size of the confectionary sector in the US has also enhanced the growth prospects of the regional market. Moreover, the food industry in Asia Pacific has also commenced with the use of taste and texture enhancers. Hence, the demand for integrated food ingredients in Asia Pacific is also projected to reach new heights. Some of the key players in the global market for integrated food ingredients are Cargill, Associated British Foods, Archer Daniels Midland, Tate and Lyle, and International Flavours and Fragrances.